Fresh green beans are awesome. 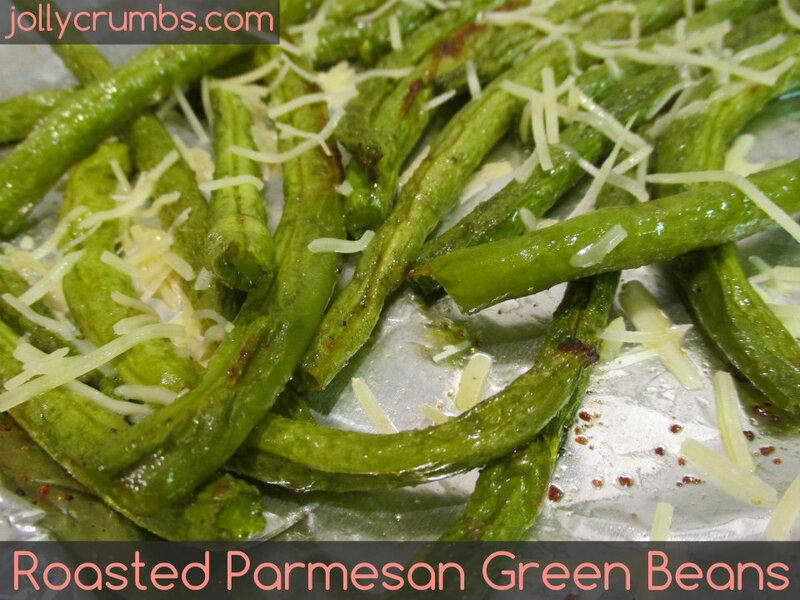 These are roasted with minimal ingredients, so the green beans really shine through. They are also topped with some grated Parmesan cheese, so how could you really say no to these? The green beans stay tender, while still having texture and chew to them. They are also very filling. Although that could be due to Samuel and I eating the entire pan with dinner the other night… But since these are so low in calories we don’t really have to worry about eating them all, right? Right. So if you are a fan of the canned green bean as I am, these will blow your mind. If you are a fresh green bean lover, I definitely recommend these bad boys. Lay trimmed green beans out on the baking sheet and drizzle oil over them. Season with salt, pepper, and garlic powder and toss to evenly coat. You can season these with any other spices you like. I will probably add a touch more garlic powder next time, but you definitely don’t have to. Spread them out on the sheet so that they all lay flat. Bake 10 minutes, shake the pan to turn. Bake 5 additional minutes.Remove from the oven and sprinkle with grated cheese. That’s all there is to this dish. It is surprisingly easy to make these green beans. I will warn you, these will be gobbled up quicker than you think. I’ve never actually made fresh green beans before, and I’m so glad I made these. They have some caramelization from the roasting, slight tenderness, and still some crunchy chew to them. Not to mention these are low in calories and extremely filling. Samuel and I went through these quickly, so you may need to make a double batch if you are anything like us. If you are a green bean lover, you are bound to fall in love with these scrumptious green beans. Place oven rack in the lower third section of the oven. Preheat the oven to 425°F. Line a baking sheet with aluminum foil. 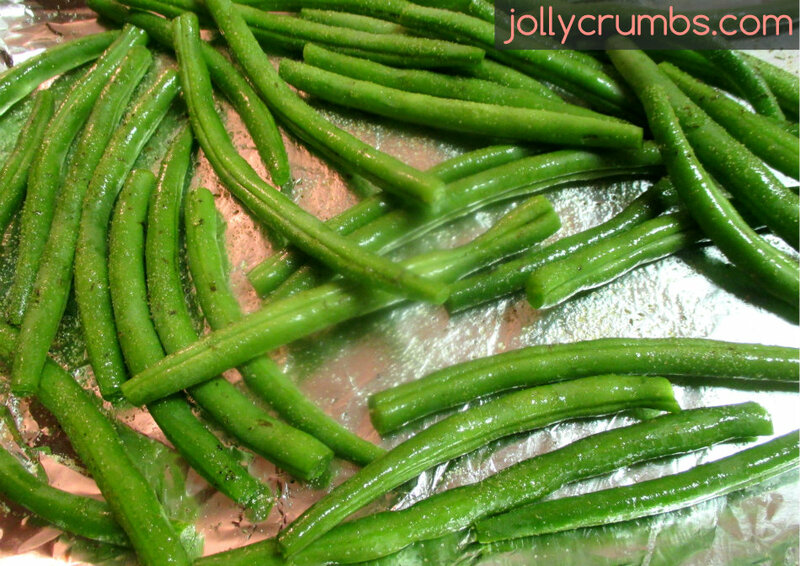 Lay trimmed green beans out on the baking sheet and drizzle oil over them. Season with salt, pepper, and garlic powder and toss to evenly coat. Spread them out on the sheet so that they all lay flat. Bake 10 minutes, shake the pan to turn. Bake 5 additional minutes. I was going to ask you if you had any recipes to use green beans in. I have a freezer full from the garden. I wonder how frozen green beans would work with this recipe? I would just thaw the green beans to room temperature and make sure they are dry. As long as they are dry it should work well with this recipe!